Page 1: Yew-Ho: Watch The Birdie. 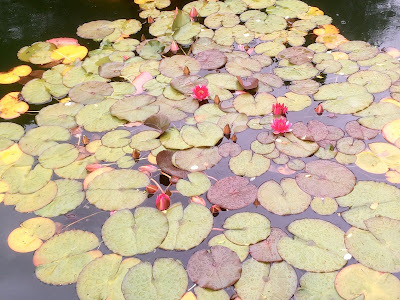 of the lily pad. The slow and gradual growth of plants and trees. It is foretold. We are controlled by seasons . A cycle of change. Spring rains wake the soil. causing green shoots to rise, stretching like sleepers from the moist earth. It is foretold. Summer sun will tan and darken the shoots to golden brown. The wheat will rise and ripen. Their heads will caress the prairie wind in an endless undulating dance to the horizon. In a stygian blackness nitrogen- rich yellow thunder spears will anoint the earth and pods will awake and open seeding the sky with plague. Leaving the wheat to crumble and die in the iron-fist of the winter frost. It is foretold. As numbers decline like shoals of herring in a Global net Mankind will be at The epitaph of Page zero . The trouble with a place or feature, which is close to where you live is that you don't visit it too often. Such was the case with Berkeley Castle, which was only about six miles away from Cam near Dursley, where I lived for eleven years. Indeed, our youngest daughter d. had never visited, she claimed. So it was to rectify this admission, that last Wednesday ( 29/ 06/ '16 ) we set sail for Berkeley, now twenty four miles away. I remembered that close to the castle was the redoubtable Salutation Inn. It had earned the title of ' Camra pub of the year 2014 ' and was one establishment I had not visited. 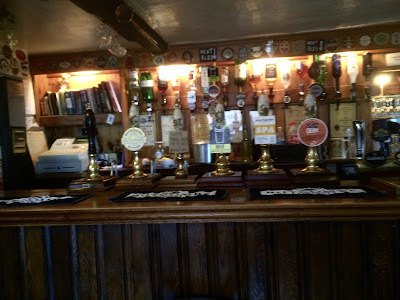 As you can see from the link above it offers real ale and real 'home cooked ' food. The interior is small in size, with two rooms, bar and lounge.